Ok ok, so I promise we have something a little different today. First I just have to show yet more Dahlias and Sweet peas. I’m torn between showing them and not. I mean, because after all they ARE what I have in vases and have repeatedly had for a long time now. But I also appreciate they’re really very boring. Now you’ve suffered yet more of the same I’m moving onto the ‘different’ part. These yes are shop-bought but not by myself. They are a leaving present from my colleagues and very pretty. I think next year I will be growing snap dragons for vases. I do have some self-seeders pop up in the front garden most years but I think I’d like to have enough to actually appreciate indoors. 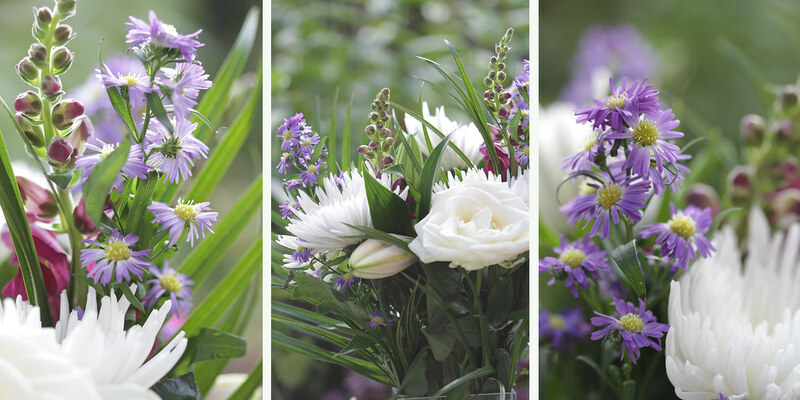 I also have another vase, this time as an anniversary with roses, stocks, agapanthus and I’ve never seen in a bouquet before – liatris! They’re also lovely but I’m not showing you that vase as I think it’s cheating a little too much. Please pop over to Cathy’s blog for more vase posts. All lovely vases Liz….I never tire of them. My snapdragons are not as large as in your vase, but maybe next year I can get them to grow better. I grow liatris…a favorite native plant that pollinators and butterflies love. Such a wonderful way to start the week; the color combinations are just stunning. Very attractive vases. 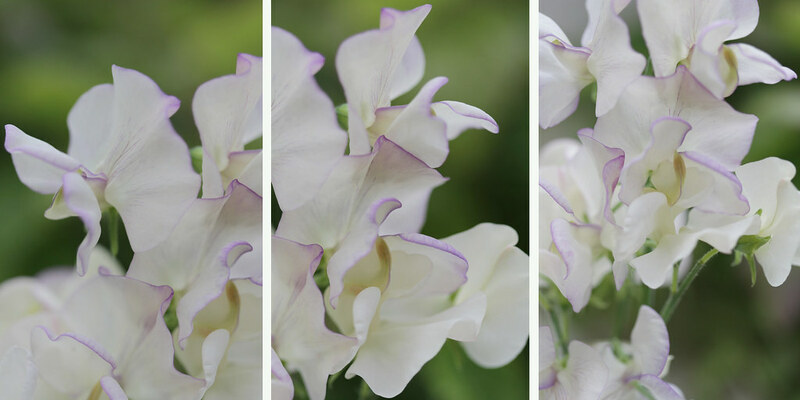 Your delicate sweet peas are especially lovely. 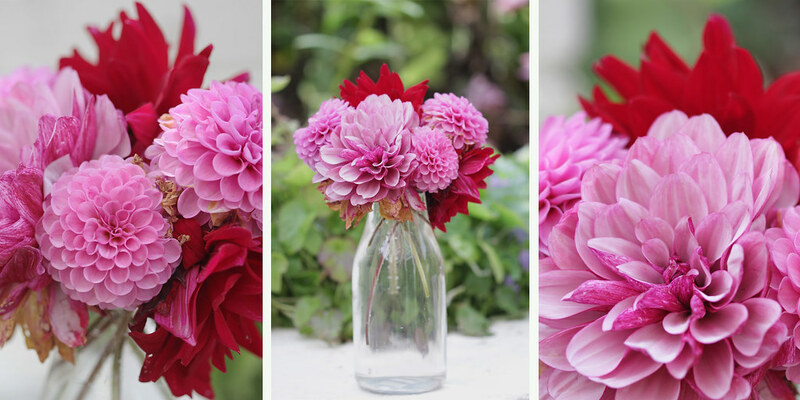 The dahlias in my garden are just starting to produce, although the packages touted them as summer and fall-blooming. Gorgeous arrangements, I never tire of the beauty of fresh home grown flowers. 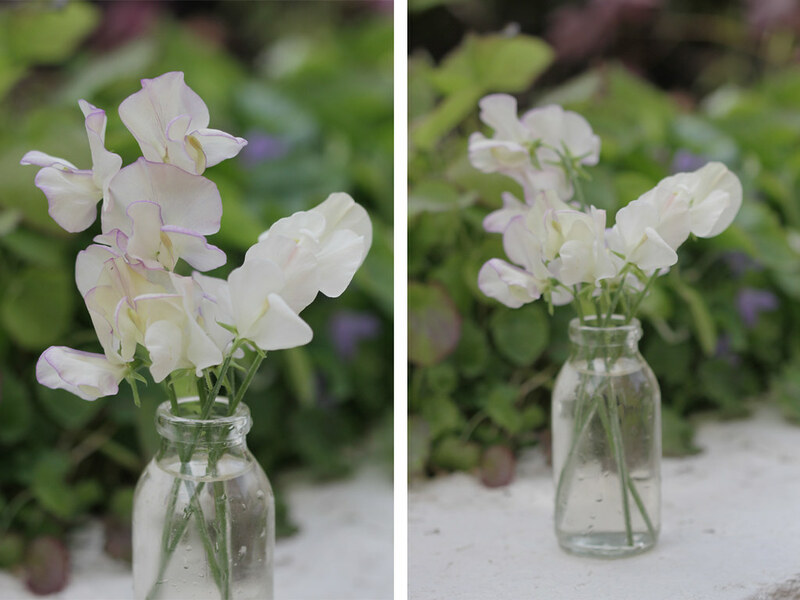 Do you know what variety the sweet peas are? 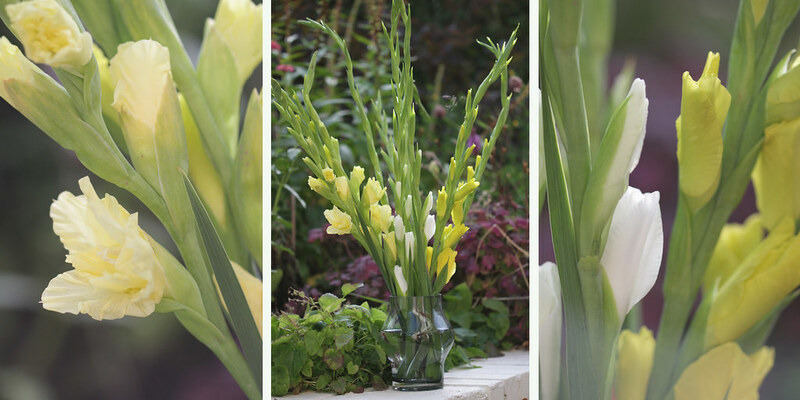 Beautiful – I love gladioli. One day I hope to start growing flowers, at the moment I am concentrating all my energies on vegetables and fruit. Never have I met a boring dahlia! So pretty! Just what I needed to see on this miserable blustery day!